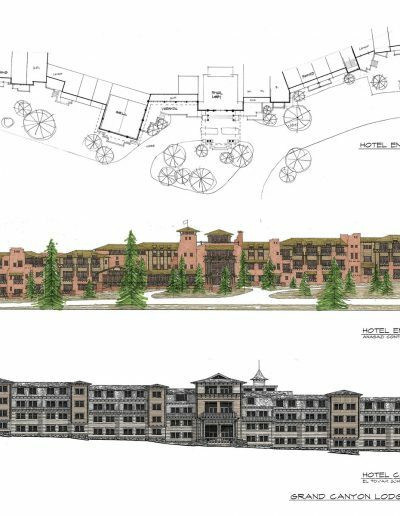 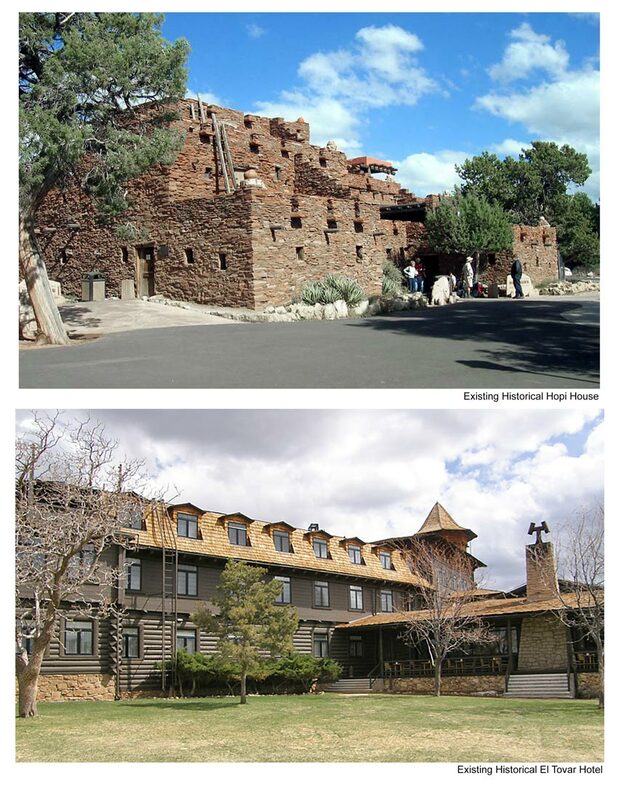 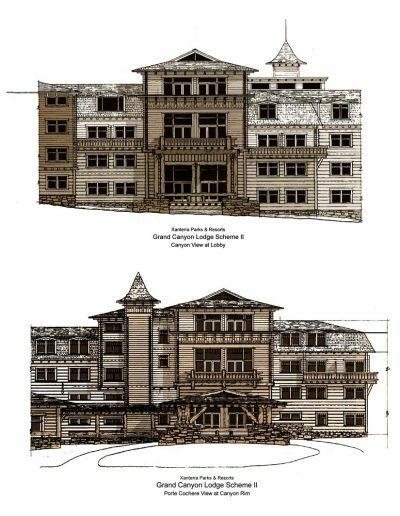 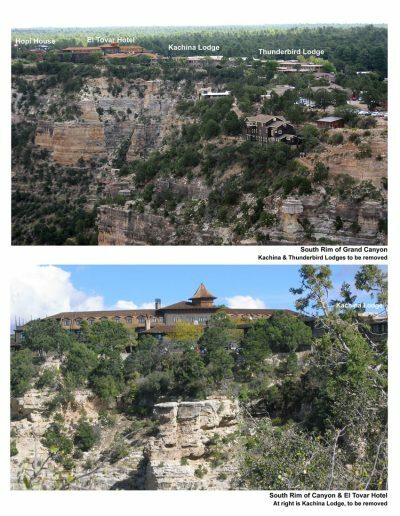 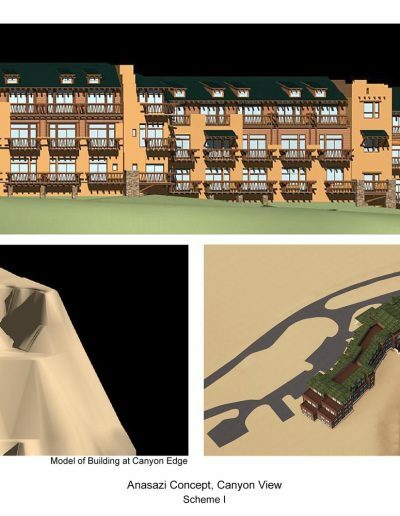 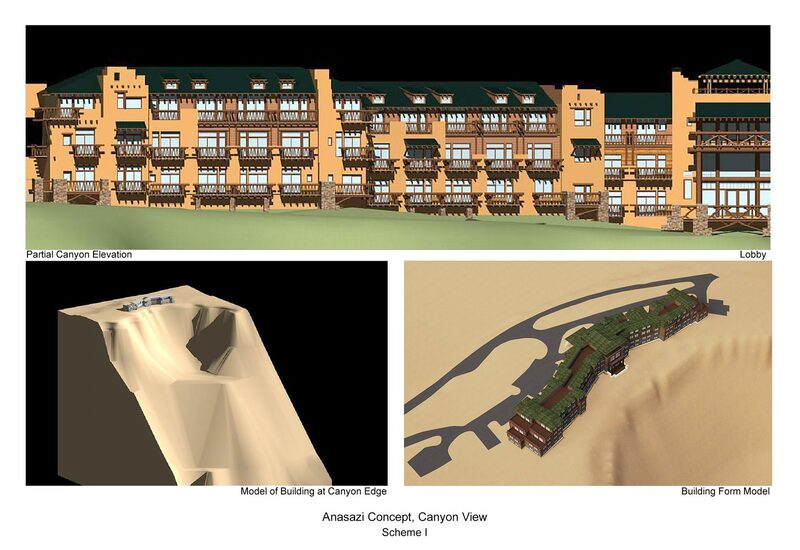 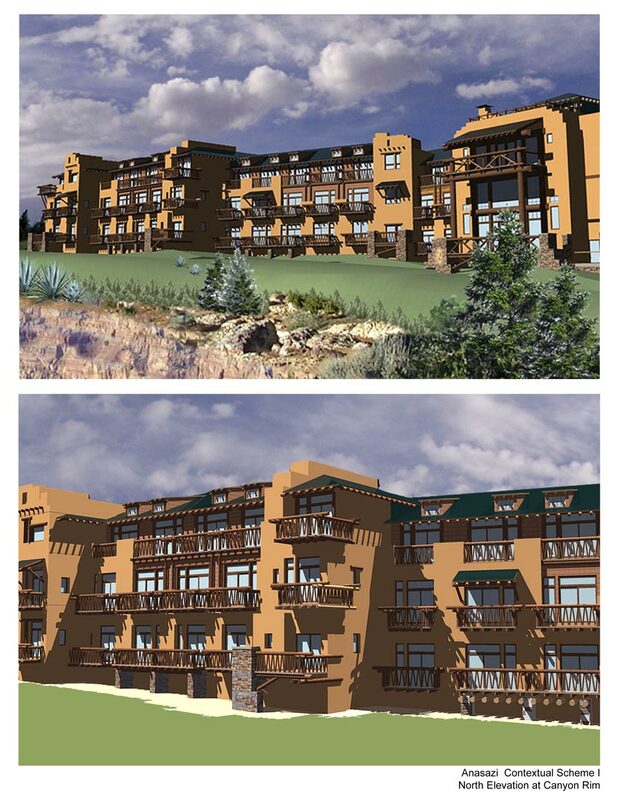 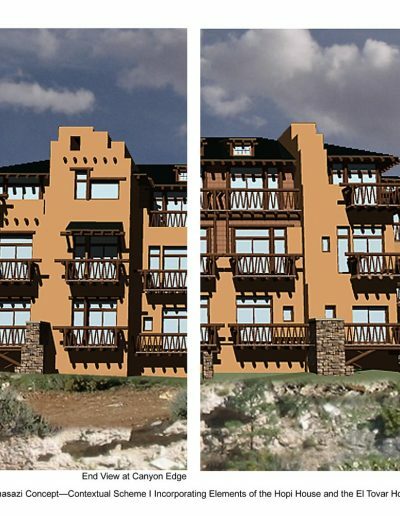 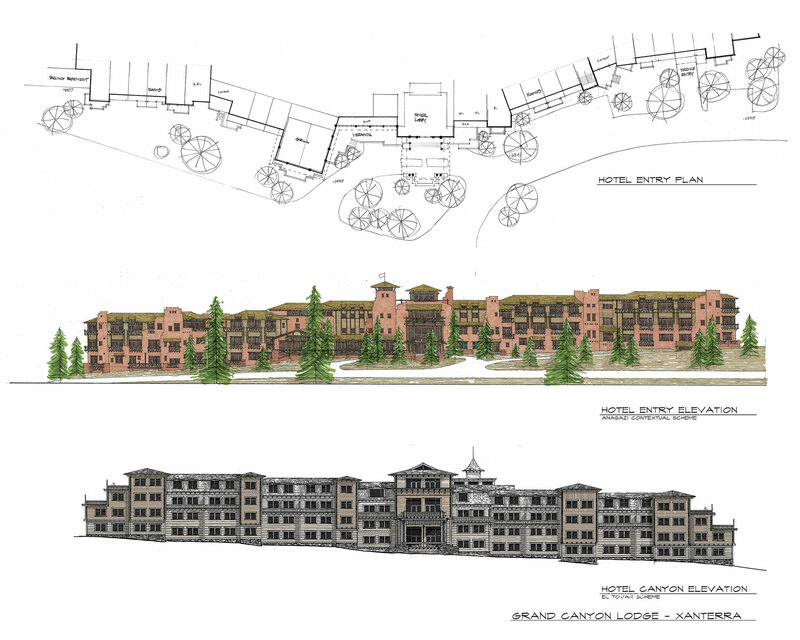 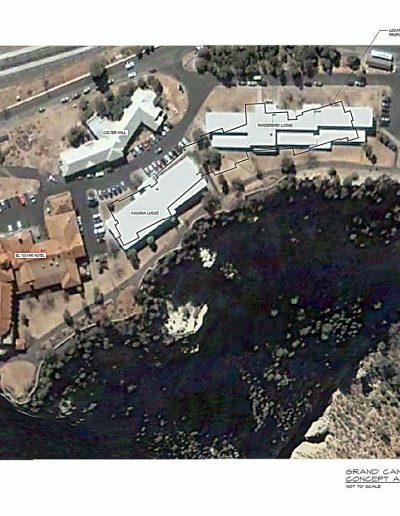 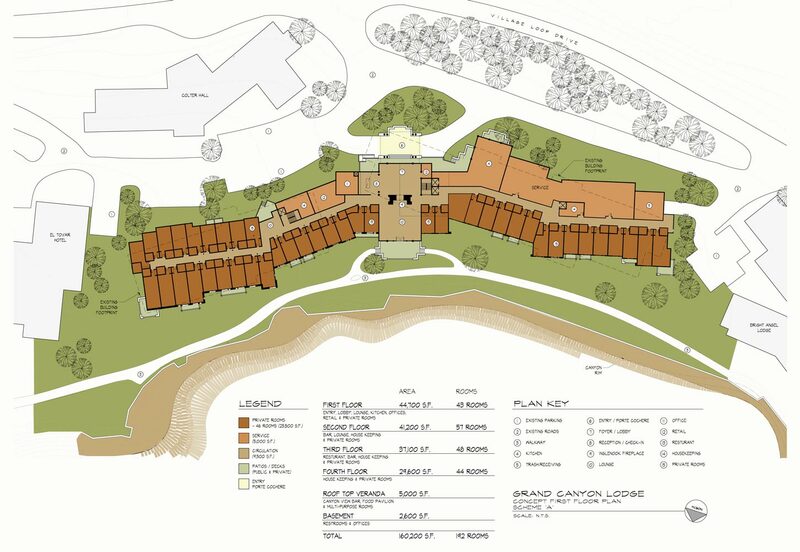 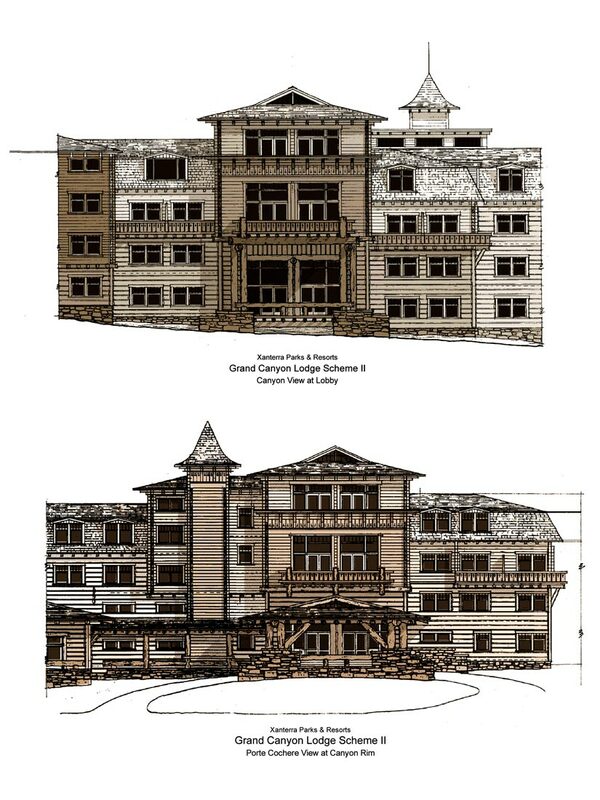 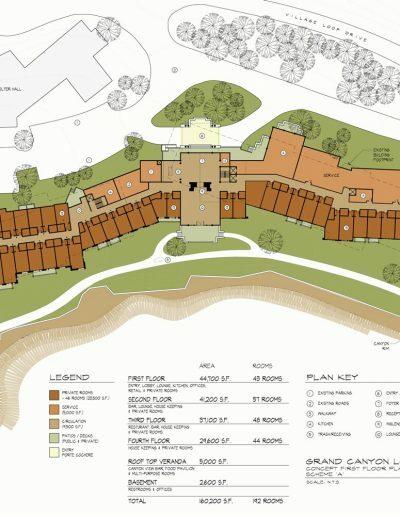 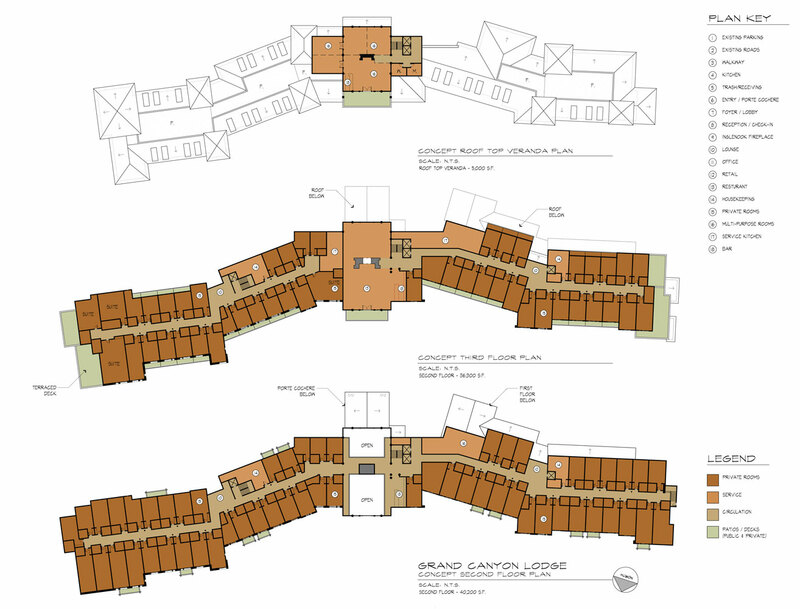 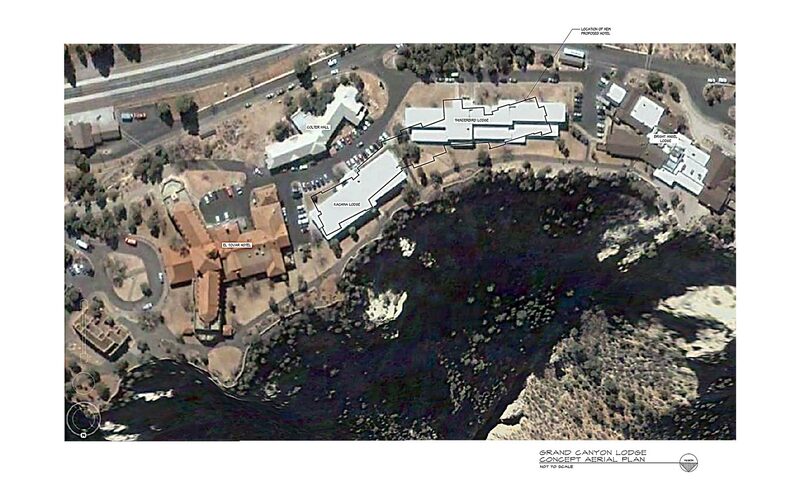 This project involves replacing the Kachina and Thunderbird Hotels, 90 feet from the south rim of the Grand Canyon between the historic El Tovar Hotel and Bright Angel Lodge, with a new architecturally significant “green” hotel/lodge that harmonizes with the existing two historical styles. 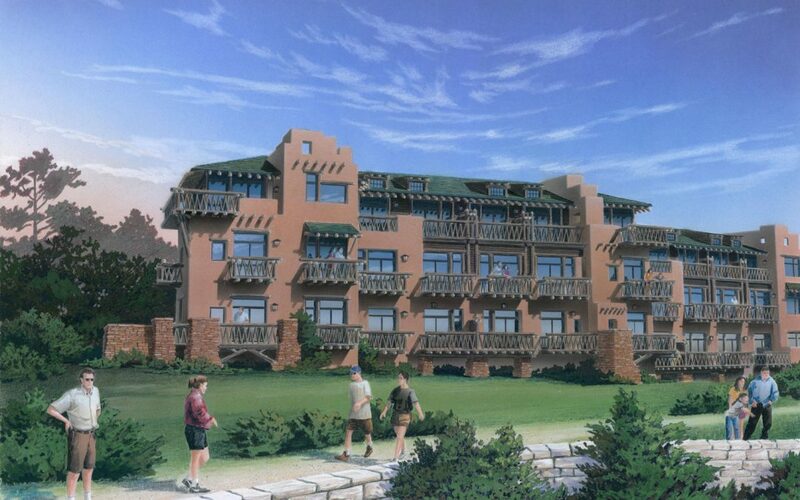 The four story, 200 room, hotel will include restaurants, bars, multi-purpose facilities and a sub-level. 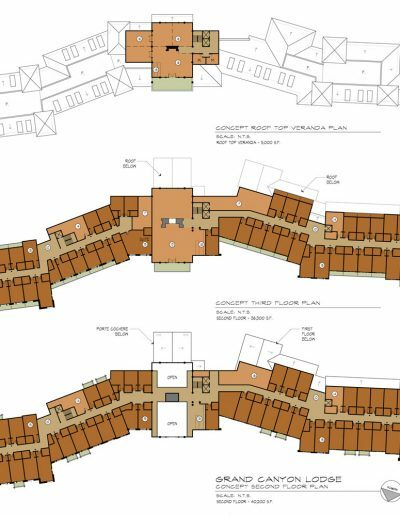 To disguise the length, the structure is fractured into five angled sides with projecting knuckles at the joints to visually foreshorten the building. 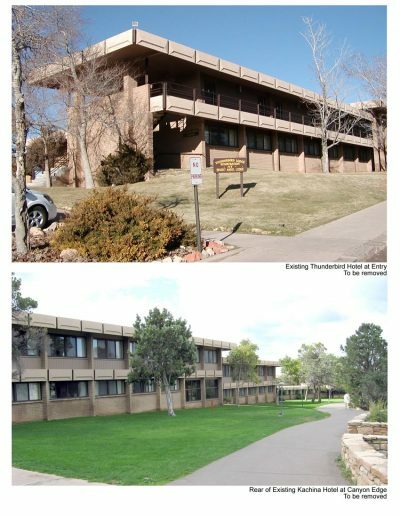 From the entry side a pedestrian can’t see the entire building at one time. On the canyon side the structure hugs the concave shape of the rim simulating an amphitheater and directing spectacular views from every room and public space into the Canyon. 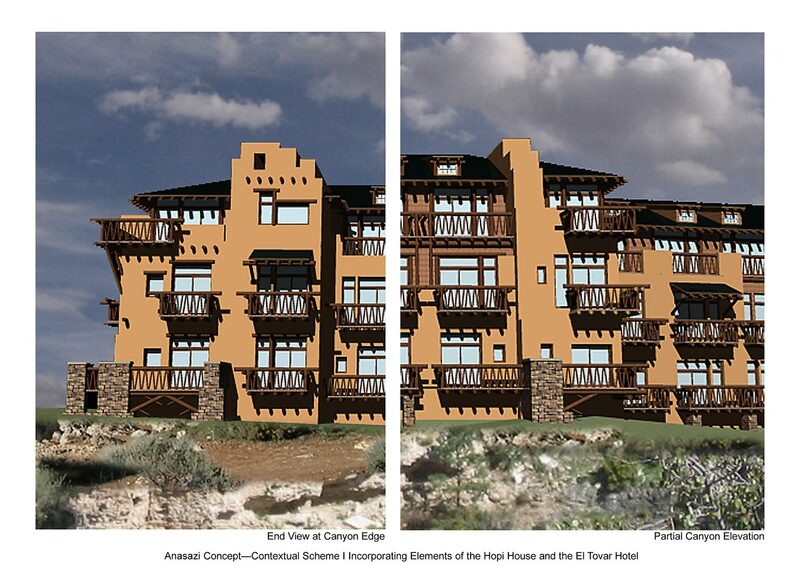 The design utilizes elements of the Hope House and El Tovar Hotel to create a third “rustic” aesthetic. 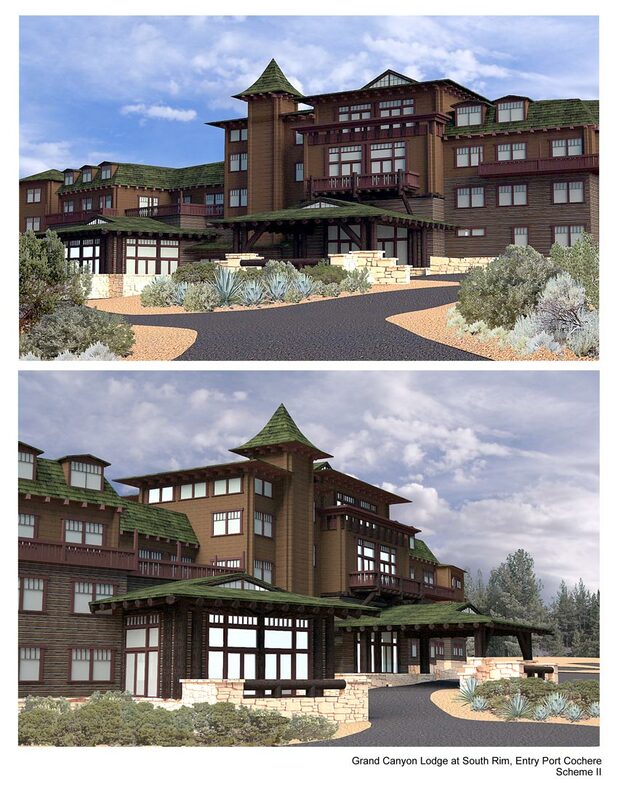 When completed, the Lodge could be the most significant project in a National Park in 75 years.